It isn't giving me that output and I don't know why. Your code is giving the correct answer as noted in my earlier answer. The problem is not the answer the code gives, but I believe in your understanding of either how the algorithm works or the layout of the graph from the facts. Using paper and pen to work on a problem before converting it to code is a wise decision. Here is the graph in a visual form with the root (a) at the top. Notice that the shortest path from a to g is a,b,g and not a,b,c,g as you expect. Even though c is connected to a, it is not on the path from a to g and so is not part of the solution. You are correct in that with Breadth First Search (BFS) you start at Level 0 then process ALL the nodes connected to it, which are shown at Level 1. Then do the same for each node in Level 1 creating Level 2 before repeating again for each new level. In processing each node, BFS just looks for any node connected to that current node that it has not visited already and records any information it needs in a table or other data structure. If your example included weights on each vertex then the cost to get to the current node being processed would be recorded with the current node in the data structure. Visiting a node for processing a node is not the same as visiting a node as part of the shortest path from one node to another. Another way to think about this is that both BFS and Depth First Search (DFS) should both give the same answers, the difference is in the algorithm. If you use DFS on this you will get the same answer of a,b, and g, without c.
Okay, I see, so the actual working of the algorithm is as I printed it including c, but then when it wants to print the final path, it will exclude c since it's not on the path. line   1   [trace] 133 ?- solve_1(a,S). it shows the result of visiting the start node a which is just the path a and in a list of known paths is [a]. for path [a] a new list is created by using the item at the head of the list and visiting one of it's neighbors that have not been visited and adding that new path into a new list. So with with path [a] and using the item at the head of the list a visit one of its neighbors s(a,b) and add that new path into a new list, [[b,a]]. with with path [a] and using the item at the head of the list a visit one of its neighbors s(a, c). and add that new path into a new list, [[b,a],[c,a]]. for path [b, a] a new list is created by using the item at the head of the list and visiting one of it's neighbors that have not been visited and adding that new path into a new list. So with with path [b, a] and using the item at the head of the list b visit one of its neighbors s(b, g). and add that new path into a new list, [[g, b, a]]. with path [b, a] and using the item at the head of the list b visit one of its neighbors s(b, f). and add that new path into a new list, [[g, b, a], [f, b, a]]. Notice that the answer [g, b, a] is now in the new list but it does not have c in the path. by using all of the s/2 facts and still the path with the answer [g, b, a] has no c in it. Why the change from conc/3 to append/3 ? Even though it is not one of your questions I need to answer it for others that read this question, especially people learning Prolog on their own for the first time. This is my version of the events related to conc/3 and append/3 if there is another story about it do tell; I will even ask it as a posted question if need be. 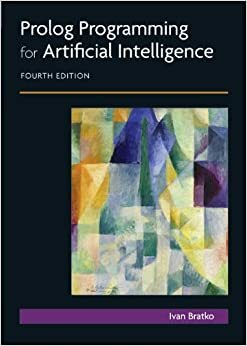 One of the best if not the best books for introductory learning/teaching Prolog is "Prolog Programming for Artificial Intelligence" By Ivan Bratko. (WorldCat) (Amazon). When first learning Prolog, people tend to spend their life in the list data structure and get a healthy diet of append/3 but in the book he chose to have the students create their own version of append/3 and named it conc/3. So through out the book is the use of conc/3 and hardly any use of append/3. Now those people are use to conc/3 and start writing code with it, posting it, etc. and it is very infectious, and you happen to have caught it. So I gave your code the remedy. Problem of reversing the output. When recursion is used to solve a problem it typically stores the intermediate result on the stack. Depending on the order on the stack the results are in the correct order, or in a reversed order. There are a few ways to get the results to be returned from recursion in the correct order. For most beginners it is to get the results and than if need be just reverse the results. For Prolog if the result is a list then reverse/2 works. R = [a, b, g]. When you get into larger problems constantly reversing the result even between different predicate calls starts to add up time. This is especially true in functional programming. Another way is by passing an accumulator. To demonstrate this I will use this simpler version of reverse. to take the list apart [H|T] (AKA deconstruct) and append the head H to the accumulator [H|A] (AKA construct). the original list gets smaller and smaller because the head is always being removed from the list and the accumulator grows because the head from the list is always being added to the accumulator. Since the order in which list is deconstructed, (front to back) and the accumulator is constructed (back to front) the list becomes reversed. where one of the arguments is an empty list or bottom, and two other parameters are the same, but one is bound when the call is made and the other is unbound when the call is made, look to see if accumulator passing has been factored into the code. Some prolog books have chapters on how to implement ExpSys on it. I don't know much about this field, but in case you have nothing better ..